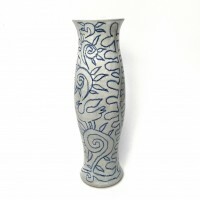 with blue glazed exterior and white glaze inside. 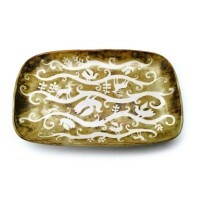 Decorated with white woodland motif featuring birds, deer, foliage and a fox. 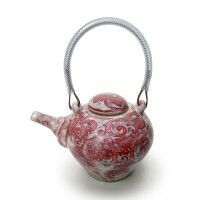 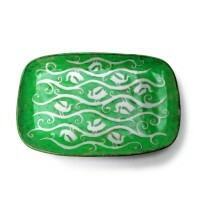 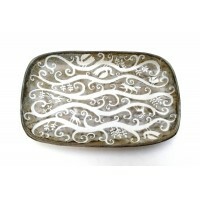 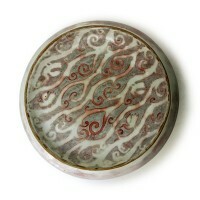 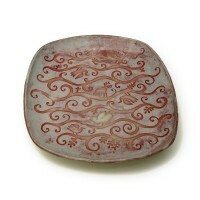 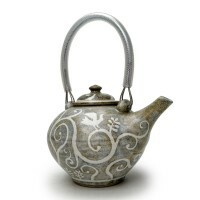 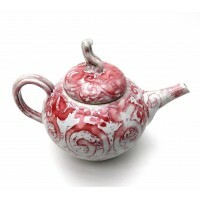 This unusual piece is suitable for use as a casserole or large jar for extra special cookies. 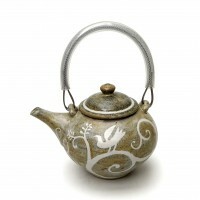 The decoration is based on spring foliage and wild animals seen around The Knott. 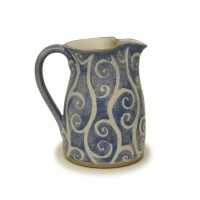 Different blue glazes are built up in layers over the resist motif, giving the colour depth and subtle variation. 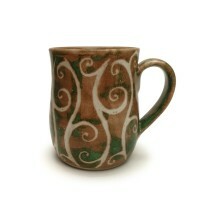 Size: 10 Inches wide, 7.5 Inches high.